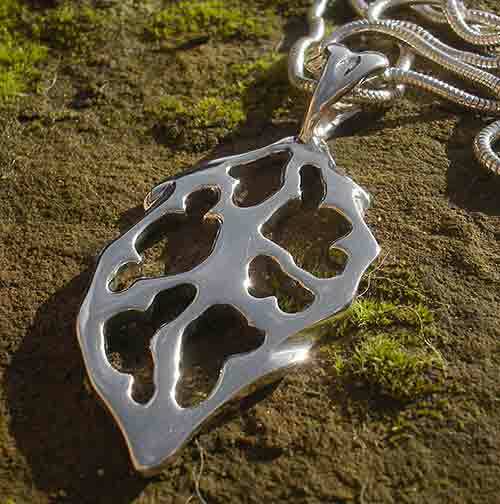 Women's Alternative Silver Necklace : LOVE2HAVE in the UK! 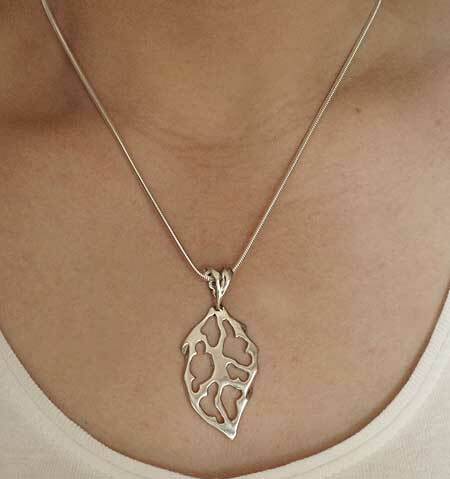 This women's alternative necklace has a lovely organic quality to the design featuring random uneven shaping with smoothed cutouts that are all different. Tree branches come to mind. 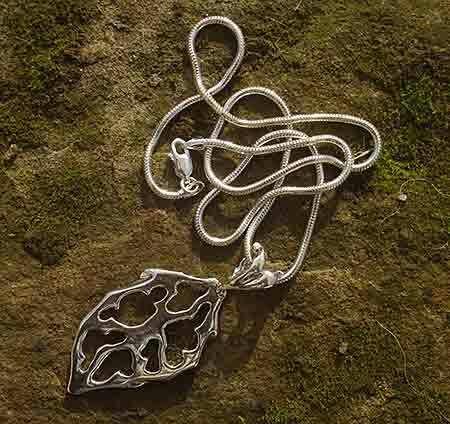 The pendant piece is a flat sterling silver shape that comes in a polished finish, and the edging to all the shaping is smoothed off. We love the designer style eyelet that the chain comes threaded through, again featuring organic shaping in a polished silver finish. As you can see from the picture, the light catches all the smoothed off edging giving the silver an almost liquid appearance. The height is approximately 57mm and width 25mm. The chain is a snake type weighing 17g and measures 18 inches long. Other sizes are available too so; please email us for details.